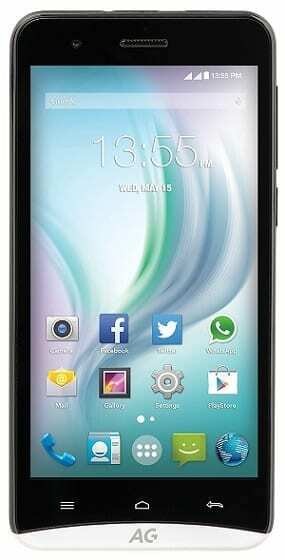 As its name suggests, the AG Style is an elegant smartphone configured to support decent multimedia experience. The entry-level device features an FWVGA display, manageable cameras and a quad-core processor. Sporting a 5-inch IPS display, the AG Style aspires to offer great wide viewing angles, but it is undone in this regard by an FWVGA resolution of 854 x 480 pixels. It does not mean the screen quality is awful; it is just not the best. Entry-level users, who appear to be target market here, may not have any issue with this. The AG Style rocks an 8-megapixel shooter with autofocus on the rear. The 2-megapixel front-facing snapper should serve up decent selfies, although some choosy users may demand something better. Under the hood, the AG Style is kitted with a quad-core MediaTek MT6582 processor clocked at 1.3 GHz. The CPU is assisted by lowly 1 GB of RAM, which goes to confirm this is a device more suited to entry-level users. Internal storage has a capacity of 8 GB, which does not sound like much, especially since a significant part would have been taken up by system resources. The presence of a microSD card slot that can take up to 32GB card should offer a bit of respite. The AG Style will run on Android 5.0 Lollipop operating system. Like the more-expensive AG Ghost, this phone disappoints a bit in the battery department. It carries a 1,900mAh juicer which promises an unimpressive maximum talk time of just four hours. You may be tempted to ask what its South African maker AG Mobile was thinking when producing or pricing its devices. The AG Style allows the simultaneous use of two SIM cards. It features usual connectivity options such as 3G, Bluetooth and Wi-Fi. A standout feature of the device is its support for Wi-Fi calling, which enables users to make calls and send text messages over a Wi-Fi connection whenever cellular signal is unavailable. AG Style is available in Nigeria. You can buy the afordable Android smartphone at leading online stores in the country. AG Style Price in Nigeria ranges from N19,200 to N25,000 depending on your location in the country.